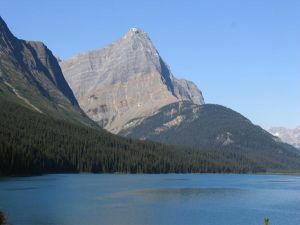 Located on the south side of Fortress Lake and the west side of Chisel Creek. Standard route is along west spur and west ridge. Name Notes: Named in 1928 by the Alpine Club of Canada.